The Best Cellars Wines & Spirits wine store is situated away from the hustle and bustle of the city at the Island Provision Group Complex on Sir George H. Walter Highway (formerly Airport Road). Here, there is ample parking and a convenient location for all your ‘one-stop’ shopping needs (see Island Provision Ltd. Gourmet Basket Supermarket). You will find expertise to assist you in selecting from the largest stock of exquisite fine wines and spirits on the island with a portfolio of over 650 references from the best wine regions of the world. Best Cellars Wines & Spirits' strong commitment to the Superyacht market, has been forged over many years; offering wines and spirits at competitive prices, as well as free delivery (5 days per week). Their well-trained team and efficient wine sales consultants will be happy to assist you. Over US $ 1million in wines and spirits are stored in a 5000 sq. ft. temperature-controlled cellar at all times. Famous brands within their exquisite wine and champagne portfolio include Louis Roederer Cristal, Domaine OTT, Remy Martin, Pol Roger, Cakebread Cellars, Hess Collection, Kistler, Louis Jadot, E. Guigal, Pascal Jolivet, Pio Cesare, Gaja, Planeta, Liberty School, Oyster Bay as well as a very extensive Bordeaux wines selection for the quintessential palate and much more. You will also be able to find all your premium spirits, Illy Coffee and drink accessories. Finally, Best Cellars Wines & Spirits is the exclusive importer of many premium mineral waters to complete all your needs, such as Evian, Volvic, Badoit, Aqua Panna & San Pellegrino. A visit to their welcoming and superbly stocked wine store comes highly recommended! In addition, thanks to their new website, shopping online is now available; invaluable for provisioning on a tight schedule. In an effort to provide even better service, one of their expert and passionate team members will be available for wine consultation and order placement directly in Falmouth Harbour during the Winter season. 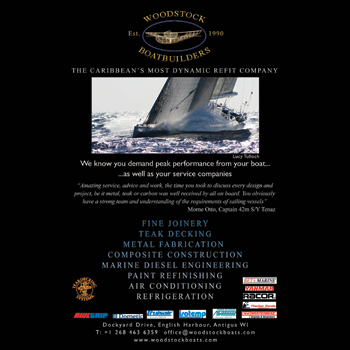 For more details, contact their Yacht Hot Line listed below. Store opening hours are: 0800–1600 Mon-Fri & 0800–1200hrs Sat.